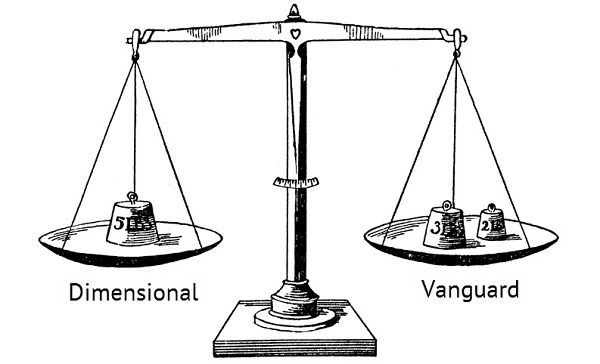 Dimensional versus Vanguard: should expats care? I have a good friend who’s a doctor; when she’s out socialising and the topic of jobs inevitably comes up, she sometimes lies about her profession. Otherwise she can spend the rest of her evening discussing her new acquaintances’ ailments. It’s certainly a scenario that rings true for me. I’ll always share the benefit of my professional experience - I spend half my working day overseeing the free X-Ray ReviewTM reports we produce for expatriate savers and investors anyway. But one question comes up so often, I’ve decided to write about it today - that way, I can just point the next inquisitive person here, and carry on enjoying my evening out. Which is better, Dimensional or Vanguard? In other words, for most expats, it’s a case of pick either one and you’ll probably have made a better choice than your peers. But first, an industry jargon alert… I loathe jargon – but, because most discussions of index fund differences contain verbiage like ‘smart beta’ ‘tilting’ ‘small-cap’ etc., I am going to include and explain this gobbledygook below. 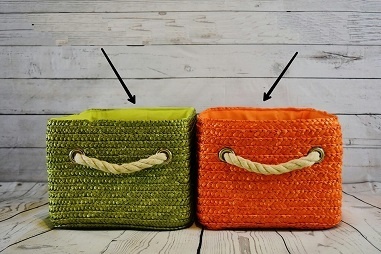 What are the differences between Vanguard and Dimensional Fund Advisors’ index funds? 3. They have a different approach to fund management. 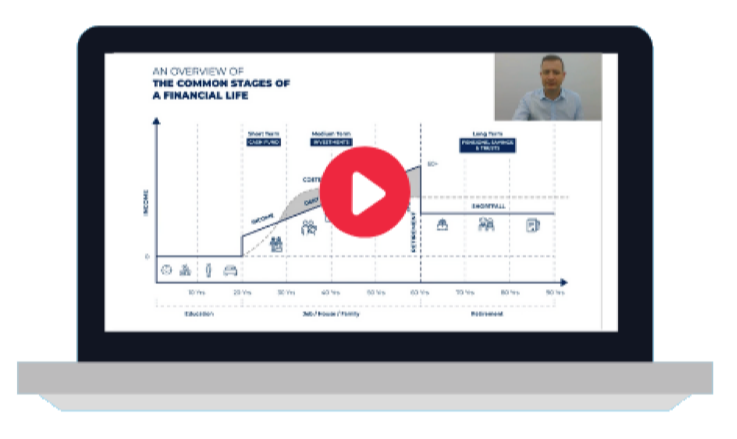 Vanguard’s approach is about as straightforward as you can get: whilst they have more than 60 unique funds to choose from, each fund tracks an index in a bond or stock market. The firm is owned by its fund shareholders, meaning it’s essentially a non-profit. As a result, the average Vanguard index fund expense ratio is 82% less than the industry average, and it remains committed to low fees. Dimensional (DFA) on the other hand, don’t simply track an index, they custom design their funds to try and capture risk factors - such as company size and value - and gain from these little tweaks for their clients. They “tilt” their portfolios: this means they have an investment strategy that attempts to enjoy better fund returns by having a heavier weighting of certain stocks that have historically delivered higher returns than the stock market. In the case of DFA, they tilt towards small-cap stocks and value stocks. Small cap is a term used to classify companies with a relatively small market capitalisation – between $300 million and $2 billion. A value stock is one considered to be trading at a lower price relative to its fundamentals – like dividends, earnings and sales – and which is therefore considered undervalued by a value investor. According to IFA.com, it’s factors like these that explain 96% of stock market returns going back as far as 1928. DFA says they have other advantages over traditional index funds like Vanguard’s too. For example, when a new stock enters an index, a traditional index fund has to add it all at once, and this can push the price up before the purchase is completed. But because DFA is working to characteristics not names, they build their portfolios differently. In theory, this means they can avoid a cost bump that pure stock-list-following index funds can experience. “[DFA] also built [their funds] by the characteristics of each stock, rather than duplicating an index that roughly identified a characteristic. As you can imagine, by actively weighting a portfolio to try and capture greater gains, DFA’s index funds require a slightly more active management. And yes, you do pay more for this more actively managed passive fund. Such an active-passive approach is called ‘smart beta’ in the industry – some people swear by it – others, including Vanguard founder Jack Bogle, are sceptical about it. Vanguard’s S&P 500 Index Admiral (VFIAX) charges 0.05% per year. DFA’s U.S. Core Equity 1 Portfolio Institutional Class (DFEOX) costs 0.19% a year. This DFA fund lagged behind the S&P500 over the one, three and five year periods to 31st of December 2015. But it beat the index by an annualized 0.06% over the preceding 10 years - and it beat the Vanguard fund by an additional 0.01%. “DFA’s funds have beaten the broad U.S. market. But that’s to be expected because DFA tilts its funds towards value and small cap stocks. The S&P 500 gained a total of 122% from January 1, 1999 to December 31, 2015. U.S. value stocks gained 167%. U.S. small cap stocks gained 318%”. To work out whether paying more for an active passive (smart beta) index fund is worth it, Professor Edward Tower and PhD student, Cheng-Ying Yang published an examination of DFA’s approach and returns in the Journal of Investing. In an 8-year period that ended in 2006, they found that DFA funds beat similar style Vanguard funds by between 1% to 3.81% a year. At first glance then, DFA’s approach is the clear winner. Since then, Andrew Hallam has compared six equity categories over the past ten years, and Vanguard won on three funds, DFA on two and it was a virtual dead heat with a sixth – the difference being only one basis point. The costs and returns are sometimes just too close to call. However, there is a critical factor that can make all the difference to your returns. “Knowledgeable, passive advisors help maximize investor success, because they provide the critical discipline needed to combat emotional, reflex reactions - like pulling out of the market the way so many did in late 2008, early 2009, or in 2011. In other words, choose Vanguard, choose DFA, or choose a different ETF altogether – but choose to work with a chartered passive fiduciary if you want the highest possible returns. Thanks once again to IFA.com, the below chart is their compilation of 20 different studies which illustrate the different levels of investor success with or without passive advisers. 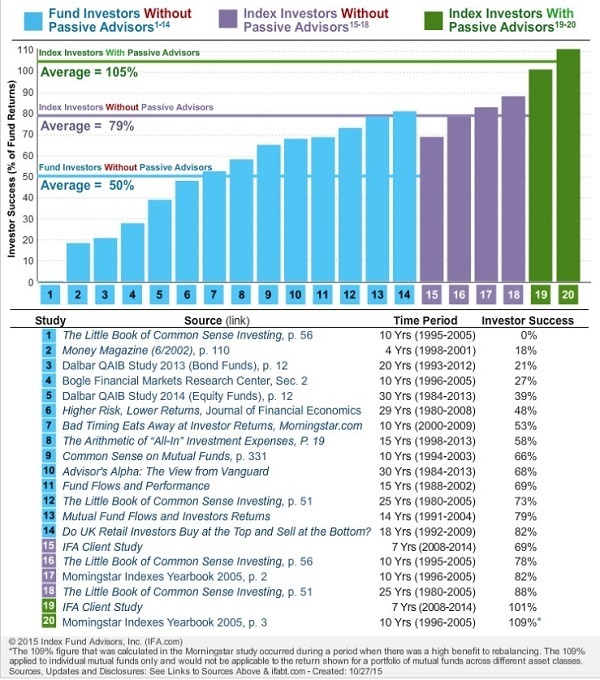 And finally, Don Phillips, who was the Managing Director at Morningstar, concluded in the 2005 Morningstar Indexes Yearbook that individuals who invested in Dimensional Fund Advisors (DFA) funds and used passive chartered advisers (the green bar) captured all the fund returns - and then some—105% of the fund returns to be precise! Dimensional or Vanguard? Ask a professional, chartered passive adviser for their professional opinion, which will be based on your personal situation and requirements. And on that note - if you would like my help, I’d be delighted to assist.